One of the Founders of the Republican Party has Some Advice | What Would The Founders Think? 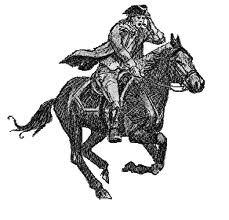 The newly elected and established politicians seem to be at loggerheads over the correct course of action. The country is in a dire state of affairs and it may get worse real fast. What to do? Here’s some advice from one of the Founders of the Republican Party and the first Republican president—Abraham Lincoln. This is from a speech he gave well before his nomination. At the time, he was a little known regional politician from Springfield, Illinois. The Republican Party was new, and had failed running national hero John C. Frémont for president in 1856. Abraham Lincoln chances of ascending to the presidency under a Republican banner were slight. All that changed in New York City on February 27, 1860. That afternoon, Lincoln had his photograph taken by Mathew Brady, and in the evening, he gave this historic speech at the Cooper Union. It was a dramatic speech, and it was exceptionally well received. When Lincoln stepped back from the podium after his right makes might conclusion, the Cooper Union Great Hall exploded with noise and motion. Everybody stood. The staid New York audience cheered, clapped, and stomped their feet. Many waved handkerchiefs and hats. Abraham Lincoln had catapulted himself to be a contender for the nomination of his party. 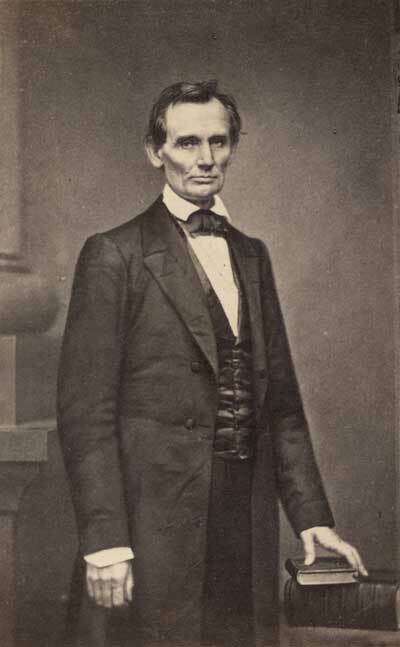 Lincoln often said that Brady’s photograph and his speech at the Cooper Union propelled him into the presidency. What was so great about his Cooper Union address? It was earth-moving because it was highly unusual. It was a call for his party to stand on principle—God’s principles, the Founders’ principles, and the principles of the Republican Party. Great leaders speak and act on principle. The moral of this story is that people will not only follow a principled leader, they will labor mightily in a principled cause. We the People are more than eager for principled leadership, we demand it. If it’s not forthcoming from our currently elected representatives, then we’ll get it from their replacements. The battle in the mid-nineteenth century was over extension of slavery into the territories. The Republican Party was primarily formed to stop the spread of slavery. Everyone knew, especially the South, that if slavery could be restricted in the territories, eventually free states would out number slave states in the Senate and slavery would be abolished. Lincoln never wavered in his opposition to slavery in the territories. Although it’s not totally clear, I presume Nick’s is inferring that Lincoln was racist. That’s a pretty mundane observation nowadays. It is also incorrect—at least in the modern sense of the epithet. Lincoln’s position expressed in his first inaugural was consistent with all of his prior pronouncements. But the issue extension of slavery into the territories was the crux. The proof is that the South went to war to extend slavery to future states. Since everyone in the era acknowledge the this issue would decide the future of slavery, Lincoln was for eventual abolition. But he was also a politician. He made arguments to further his goal that would be acceptable to the majority of voters. Even so, it is disingenuous for Nick to quote one paragraph from a three hour speech. His House Divided speech, Cooper Union address, and Gettysburg address show that Lincoln believed that all men were created equal. At least more so than any of his contemporaries. He also did more to end slavery than any other American, and we should all be eternally grateful.